Ever since I was a kid I have had a lot of interests. One day it was music, and the next day it was electronics. One day computer programming, and the next day photography. The downside was that I lost interest quickly if my new interests didn’t pay off quickly. It has been a lifetime’s work to build proper habits around practicing in order to make perfect, and the fortitude to push through the valleys in my interests. On the other hand, I pride myself on being able to hold a semi-intelligent conversation with just about anybody by finding some nugget of interesting in most people. This smorgasbord of interests resisted taming in the corporate world. The natural track in a modern company is to specialize, manage people similarly specialized positions, and naturally rise to the level of one’s own unique incompetence. People may jump diagonally to an adjacent job, but rarely sideways to a completely different department. What did I do? I moved from a physics to computer programming to IT consulting to sales to marketing to product management and back to marketing. This could appropriately be called Career ADD. If I stay too long in one place, focused on similar tasks, I start to feel like — at the risk of being melodramatic — like my soul is dying. So, why does any of this matter you ask? Well, for one — I am middle-aged. 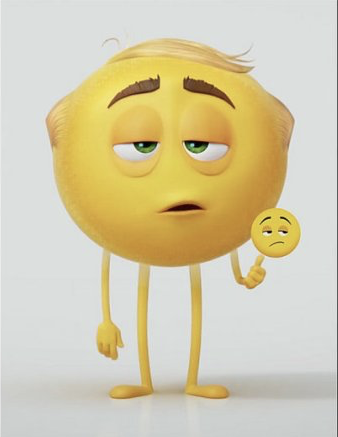 That is about the time of one’s life that a person questions all decisions that they have ever made, uselessly revisits past mistakes, and tries to build some semblance of a plan for sanity in order to reach full maturity around the age of 82. As part of that noble effort, I did the obvious thing and started a podcast. My initial aim was to try something new and find an innovative way of building a brand in the modern age. In the process, I met a lot of very interesting people. And I noticed something. There were more people like me. People who struggle with being locked down, and revel in multiple subjects of interest. And think that this is a good thing. They are, and also value, polymaths. What is a polymath, anyway? The word, as with most cool words in English, is derived from Greek. It is a combination of the Greek, polus, meaning “much” or “many” and mathe, meaning “learning”. The first use of the word has been traced to the 17th Century. 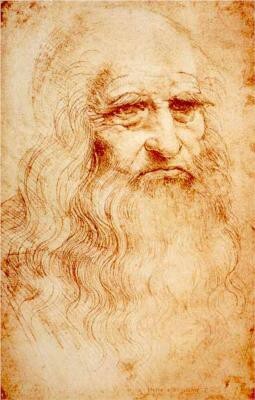 Polymath is similar to the term “Renaissance Man”, which brings to mind people like Leonardo Da Vinci — who mastered painting sculpture, painting, as well as strange looking war machines in 16th century Italy. 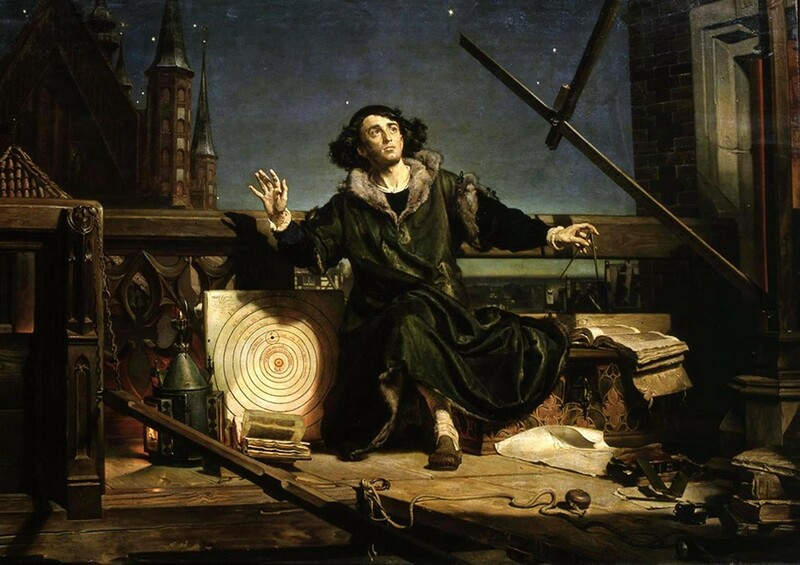 In the Renaissance, as educated Europeans “re-discovered” Greek, Roman, and Arabic texts on science, mathematics, while also shaking off the intellectual shackles of the Catholic Church, there was a “rebirth” of intellectual discovery. It was totally reasonable for men (it was mostly men at the time) with leisure time, either from patronage or family money, to let their curiosity drive them to read, learn, and discover. This continued well into the 18th century with famous examples like Ben Franklin, Thomas Jefferson, Rene Descartes, and others. Of course, this was based (at least in the shine of historical hindsight) on the intellectual pursuits of the Greek upper class, and great thinkers like Socrates, Plato, and Aristotle. Without delving into the historical details, suffice it to say that the concept of Renaissance Man declined after the industrial revolution in the late 18th century. The industries of the 19th and 20th centuries needed and rewarded specialized skillsets. The assembly line broke processes into minute steps in the factory, and top-down, command-style management structures did the same in office buildings post-World War II. In the world of science, subjects became so complex that it was no longer possible for single individuals to have broad knowledge across many disciplines. There were, of course, exceptions to the rules — like Teddy Roosevelt, Winston Churchhill, and Albert Einstein, but even those individuals didn’t range as widely as did Isaac Newton or Da Vinci. In fact, it became a badge of honor to have a career and a job — even if you don’t need it for the money (see Steve Jobs, Bill Gates, etc.). Spending one’s days as a “man of letters” and reading philosophy by candlelight was not considered a badge of honor, but something more like laziness. 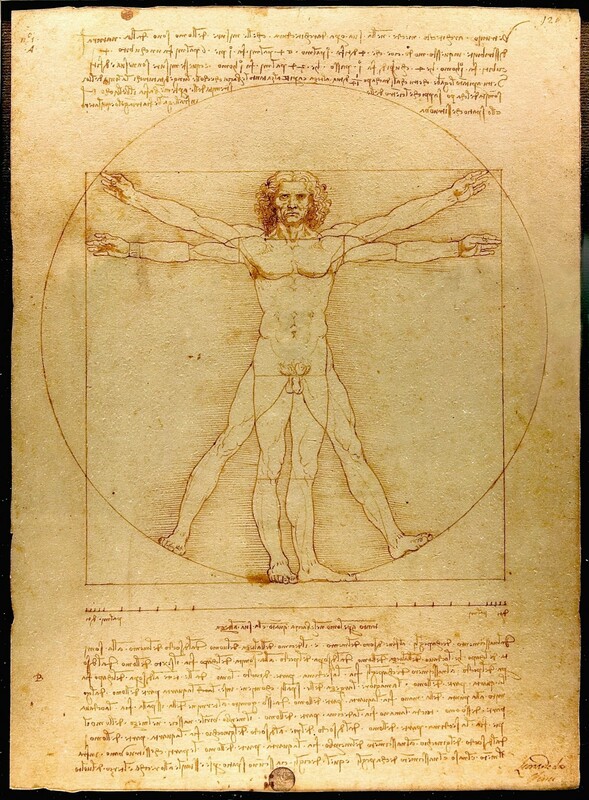 The idea of the Renaissance Man doesn’t exactly make sense for today’s world, of course. But there is evidence that the focus on specialization is failing us in the modern age. First, change is happening too fast. The last few decades are littered with the careers of men and women that did what was asked ask of them and specialized. When those specializations, careers, and even industries disappeared — what then? Many of those people had no foundation on which to reinvent themselves. And don’t think this is just the steelworker or milk delivery man. Typists aren’t exactly in high demand now. Or experience in Windows 95. Secondly, much of our wealth over the last couple hundred years was driven by increases in productivity. If the same person could do more with less, then production goes up and costs go down. These productivity gains have slowed since the 1970s in a phenomenon known as the Productivity Paradox. This is a complicated subject enjoyed only by economists, but suffice it to say that it is arguable that computer technology has invented some new industries, helped some others, but hasn’t really raised overall productivity in the same way that electricity and steam power did in their primes. Maybe it is a matter of time, maybe it’s not. It remains to be seen. While productivity may have stalled in some quarters, there is a third phenomenon to consider — changes in workplace organization. The complex work of computer software development was not really compatible with the top-down management philosophies of the past. As opposed to building a physical product, software developers often go into a project without a full sense of what the end result will look like. In the fast-moving world of the Internet, users may not even be able to express what they want or need until they see it. So, the best software engineering organizations leverage new disciplines like Agile Software Development and Lean Thinking that combine advances in manufacturing processes with rapid prototyping on small, cross-functional teams. Since so much of modern business is being driven by software, the bottoms-up philosophies driving software engineering teams have infected all sectors of the cubicle farm. The two-pizza teams of multi-disciplinary hipsters are here to stay. 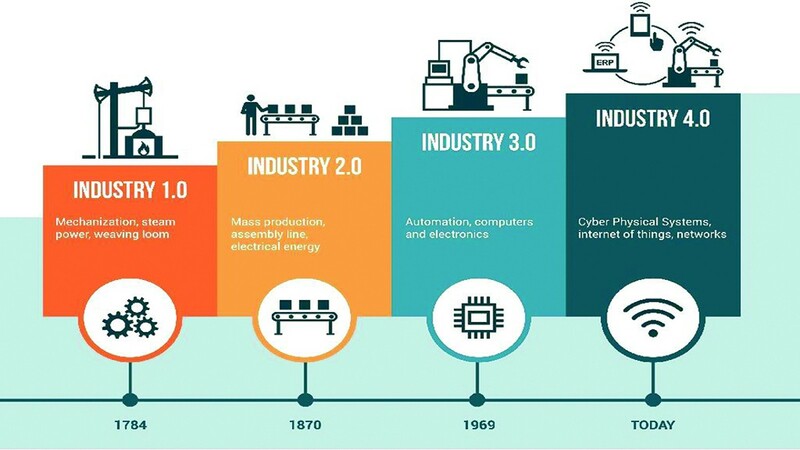 Finally, there is plenty of evidence that there is a new industrial revolution underway. This is a revolution driven by computing and by data. With nearly 4 billion users on the internet, we create 2.5 quintillion bytes of data every single day — with 90% of the world’s data created in just the last 2 years. Even though that includes a lot of cat videos and spam mail, there is immense value in that data. Some of the most valuable firms today, like Google, Facebook, Amazon, Alibaba, and Apple won their market shares by analyzing that data to understand their users (and also to abuse them, it must be said — Hello, Facebook!) and create better products. 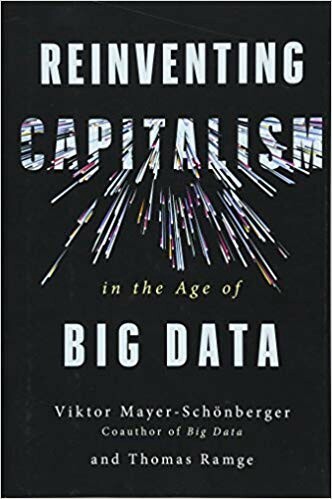 In the book “Reinventing Capitalism in the Age of Big Data”, Viktor Mayer-Schönberger and Thomas Ramge argue that data is the new currency of our modern economy. Technology is providing better ways for us to connect and conduct business, and data is the medium that drives that commerce. While Artificial Intelligence and Machine Learning are touted as the way to master the data, there is ample evidence that the human is desperately needed to bridge the gap from creepy, and even downright abusive, technology to society-improving. In this age of overwhelming data and complex innovation, it is easy to think that specialization is the answer, once again. I would argue that specialization is the opposite of what we need. The world is moving too fast. What we need is curiosity. Sarah Davanzo, Chief Curiosity Officer at L’Oreal Paris, describes what she calls a “meh-pedemic” where 36% of American are passionately curious about nothing. Sarah looks for people that are, as she describes them, the lookers, the lickers, the thinkers and the pokers. 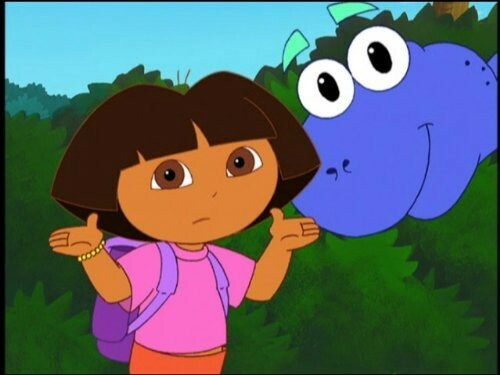 They explore in different ways, but the key is that they are curious. The last thing our society needs is a bunch of highly specialized individuals who don’t understand the implications of their actions (again, Hello Facebook!). The good news is that things are changing. One newer concept is Multipotentiality. While it doesn’t quite roll off the tongue like Polymath (sounds like some sort of battery to me, or maybe a superpower), the concept is definitely a step forward. These “multipotentialites” celebrate their curiosity, revel in the stacks of books by their bedside, and bask in the glory of the multitude of unfinished projects. I am not sure this kind of unbridled curiosity will fit every personality, but it exposes some much-needed ideas. 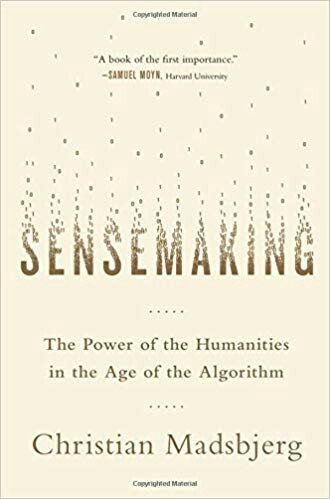 Fundamentally, this fluid, data-driven economy we live in still needs human intuition and curiosity to connect the dots. Artificial Intelligence can sift through mountains of data, but it still does not understand the human condition. So, how does intuition play into my argument about the polymath? Well, let’s review. First, the world of today moves very fast. There isn’t much time to analyze and reanalyze decisions. Secondly, the great innovations of tomorrow require connecting the dots from different areas of expertise. So, pure specialists will struggle with this, since they have mastered only one area — and so their intuition fails them outside of that realm of experience. On the other, the polymath’s refusal to settle down means that her intuitive leaps are not confined to a single discipline. The next “iPhone” will not be invented by a pure technologist anymore than the current one was — Steve Jobs was as much an artist as he was a technologist. The products that will succeed going forward are the ones with the best user experience — that is, the best design. The best designers are almost always polymaths. They are often artists in a technologists world, but they are no longer fish out of the water. They are actually driving innovation. In the same way, you see innovation in sales, marketing, product development, etc. because of polymaths bridging gaps. While I believe that only some people will truly flourish in multipotentialite lifestyle (that’s a mouthful for you…), there are lessons for everyone here. If you are young — physically or at heart, you can choose to forgo the straight upward climb, and try different jobs or even careers. There are no rules that say an engineer can’t do marketing or salesperson design products. What matters is — are you invested? As Christian Madsbjerg says — do you give a damn. If you care about a subject — if you care about the humans touched by that subject, you are much more likely to succeed. Even if you don’t like the role, you now know how to interface and collaborate with people in that role. If you are a leader, it may not be about changing your role. Do you encourage those you lead and mentor to try different roles? Do you hire people merely for their skills along, rather than considering their passion? Polymaths will have a much easier time reaching their potential if the organization encourages people to try different things. You can also spend more time understand the departments you don’t interact with — encouraging cross-pollination of ideas. If you are a parent like me, you have the most important job. Children are born curious, and we can foster that exploration or let it die a slow death of neglect. By no means is this an easy task. We have to balance the need to invest time in a subject to master it — because mastery is so much more fulfilling than being a newbie, but we also have to encourage them to try new things and explore. Personally, I lost my instruction book on how to do this perfectly. If you find yours — drop me a line. So — stay curious. Try new things. Figure out if you are a looker, licker, thinker or poker (or maybe a little of all of them). And never stop learning. Our futures depend on it. Originally published at wb40podcast.com on February 28, 2019.